Studying for any section of the DAT starts the same way: do a content review and then begin to tackle practice questions in bulk. Here’s what I recommend: do your content review with a condensed set of notes. Students studying for the DAT often use an AP biology book. I used Cliffs AP Biology and thought it was very thorough, well organized, and clear. Others use Barron’s AP Biology (which I hear is also good), but I haven’t personally used it. Both cover the same topics. I highly recommend you do the quizzes at the end of each chapter, as well. AP books will go much deeper into plants than necessary, and not deep enough in human physiology. Don’t try to memorize absolutely everything on plants; rather, have a general idea of the big concepts. Follow this up with the quizzes at the end of each chapter in the Campbell Biology textbook. These quizzes will help you find out what you need to review. By following this strategy, you won’t waste time reviewing things you already know – a known culprit in low scores. If needed, review the Campbell Biology lecture slides to fill in your gaps of knowledge. This makes you exceptionally more efficient while studying for the DAT! You’ll get through more material and you’ll actually retain the information. Now you’re ready for real DAT practice! 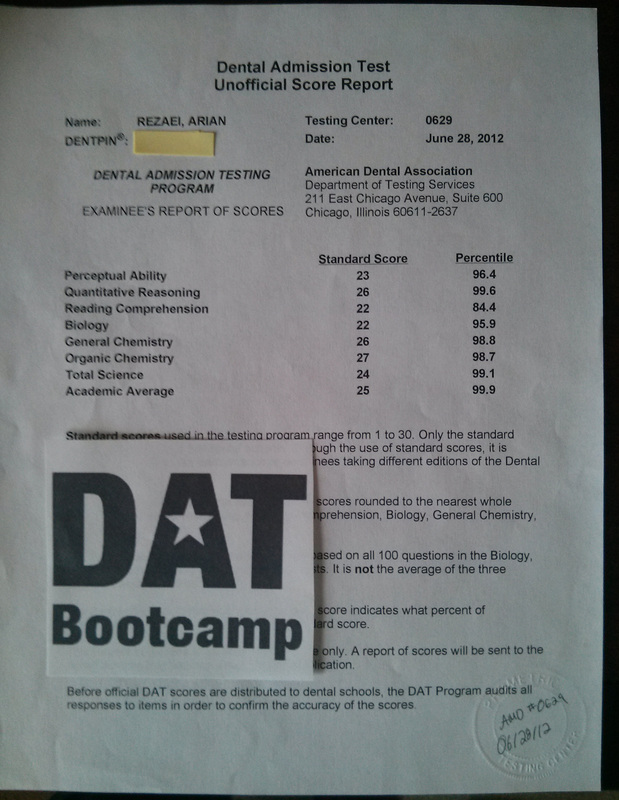 DAT Bootcamp biology tests are designed to test not just your knowledge but also your test taking strategy, leading to an effective method of studying.